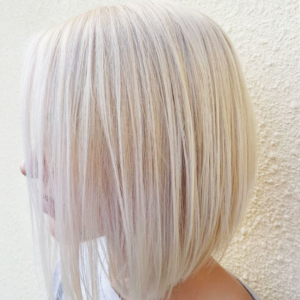 8 Tips for Blonde Bombshells to Keep Your Hair Looking it’s Best! 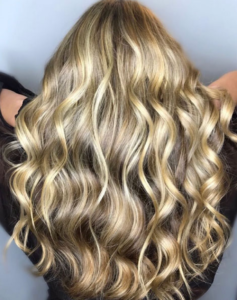 They say that blondes have more fun and there may be some truth behind that statement because blonde hair is one of the most popular colors that we see at Salon Sora. From natural to highlighted, or full-on bleached blondes—there’s no shortage of golden goddesses in Boca Raton. While we can’t confirm if blondes really do have more fun, we do know that blonde hair needs special care compared to darker tones. That’s why we’ve put together some tips to help you keep your blonde hair in tip-top shape. If your blonde hair starts in the chair, find the right colorist for your needs. 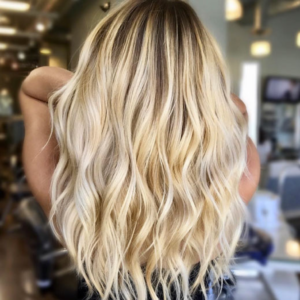 Some of us are lucky enough to be born with beautiful blonde locks, the rest of us rely on our trusted colorist to get us the blonde strands we’ve always dreamed of. For those who naturally have darker hair, finding a colorist that specializes in blonde hair is half the battle. Lucky for you, we have a seasoned team of stylists at Salon Sora that has the experience that it takes to reach your blonde hair goals. If you’re in Boca Raton and are considering going blonde, schedule a consultation with one of our stylists to learn about the process. Typically, you should expect to see your stylist every 6-8 weeks to keep your color fresh in between touch-ups. Ready to take the popular platinum plunge? One of our pros can let you know if that’s the right move for you and what to expect along the way. Whether you want to go from dark hair to blonde hair or lighten your naturally blonde hair, we can help you do so while keeping your hair healthy. All shampoos are not created equally—chose the one that’s right for you! We cannot stress enough the importance of the right shampoo for your hair. After spending hours in the salon becoming a blonde, you don’t want to ruin it with the wrong shampoo. Make sure to use a color-safe shampoo at home that is free of sulfates to prevent fading between touchups. We have a several shampoos that we love here at the salon. One of our favorites is Davines Oi shampoo. This product is designed for all hair types and it’s great as a daily shampoo. It contains nourishing Roucou Oil which will help to maintain soft, shiny and voluminous hair. Yellow tones can start to develop for both natural and artificial blondes but don’t fret, they are easy to take care of. The trick is using a shampoo that deposits a kiss of purple into your hair to cancel out any yellow or brassy tones. We tend to opt for the Phyto Subtil Gloss Violet Shampoo when we are looking to cool down blonde strands and give hair extra shine. -DO-GOO, that we suggest to all our clients to remove all styling product resins from the hair. And for our blonde babes we suggest Malibu Blondes Shampoo for at-home maintenance. This product keeps natural and bleached blondes bright and shiny while also imparting moisture into the hair. All blondes can use a little extra loving, especially if you are a color-treated blonde. To prevent breakage in between color treatments, it’s important to nourish your hair often. We recommend using a deep conditioner once a week to keep your hair strong and brilliant. Glossing treatments are a great way to bring out the brilliance in natural, bleached, and highlighted blondes. One of the most popular glosses that we use is the Goldwell Colorance line. This gloss will make your hair feel luxurious by noticeably increasing the radiance in your hair while making it feel silky smooth without causing any build up. Even if you are using a color-safe shampoo, the more you wash your hair, the quicker it will fade. To help your hair color last longer, use dry shampoo that is formulated for blonde hair in between washes. In South Florida, we love our sunny days splashing in the pool. But when you have blonde hair (especially color-treated strands), you can run the risk of subjecting your hair to UV damage and greenish tinged hair from the chemicals in pools. In fact, “blondes gone green” is a common problem that we see here in South Florida. As far as we’re concerned, both of these situations are a no go, so make sure to protect your hair before you head outside. Use a hair sunscreen to protect your hair from the sun and pre-treat your hair before swimming in a pool. You can do this by soaking your hair with water before going in the pool and rinsing your hair right after you are done swimming. It’s always a good idea to have a treatment option on hand in case your strands go green. Malibu C Swimmers Wellness collection is a 100% vegan shampoo and conditioner duo that every South Florida blonde needs. After styling your hair, always use a shine spray or oil to keep your hair looking its best. Pai Shau makes a soufflé that makes hair silky smooth and incredibly shiny without weighing it down. We recommend applying a small amount to damp hair before you blow dry. How do you keep your blonde hair looking its best?